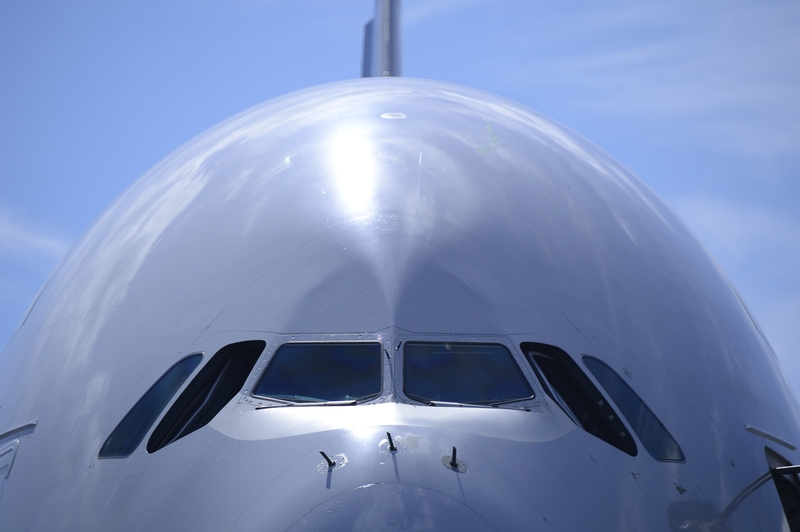 The Airbus A380 is a marvel of technology; a majestic aircraft. It is beloved by passengers and it also is an environmental asset for airlines operating out of airports in built-up areas such as Heathrow with its low noise signature. But no new A380 order was taken in 2015 – and the current order book stands at 317 units, with the cost break-even point for Airbus now believed to be standing at as high as 420 units (from 270 initially) as a result of delays in production and detrimental currency fluctuations between the euro and the US dollar. The A380 is heir and rival to the Boeing 747 jumbo jet in the so-called Very Large Aircraft (VLA) family, for which the maximum combined market size is believed to be between 700 and 1,700 aircraft. This aircraft is built to capitalise on an air transport model that is based on large “hub” airports. In such a model it is expected that aircraft such as the A380 would ferry a large number of customers at once thereby helping reduce airport congestion in the process. But the dispersion of routes and traffic and greater competition between carriers means the so called “point-to-point” model of air travel is growing more rapidly, at the expense of the hub-and-spoke model. This also poses the issue of capacity on some routes. Though large carriers such as British Airways have been able to replace three daily Boeing 777 flights from London to Los Angeles with two A380 flights, some destinations simply do not carry the capacity required to successfully deploy the A380. Combined with the dispersion of the routes, this challenges the raison d’être of the aircraft. Where the A380 was meant to deliver a significant reduction in fuel burn and cost efficiency, the figures that are reached – while nearly half that for the 747 – are on a par with those of the most successful twin-engine airliners currently on the market. More twin-engine aircraft also provide greater flexibility for airlines. The Boeing 777, and the 777-300ER in particular, have proven particularly successful and this trend is being continued by the 787 Dreamliner. Perversely maybe, the current low cost of fuel means that in spite of ever greater appetite to fly and a need for competitive ticket pricing, it is currently economical to keep using older aircraft, when taking the cost of acquisition or leasing into account. Air France is only just retiring old Boeing 747s now (the last scheduled flight, AF747, takes place in January 2016). As most of its 42 747-400s were built in the early 1990s, British Airways still seems to plan a further ten-year service life before retiring them. British Airways has 11 A380s in service today, from a total order book of 12 to date. Airbus is refreshing its twin-engine offering and compete very seriously against Boeing and its ground-breaking 777 and more recent 787, with the new A350. The aircraft appears to be very competitive and is already taking on the 787. As of end of November 2015 the order book for the A350 showed 775 orders. Based on figures updated in early December 2015, the orders for the 787 Dreamliner stand at 1,142. Both A350 and 787 are technologically more advanced than the A380 – one indicator can be taken to be the amount of electrical power on the Dreamliner. This shows a step change in aircraft design and the move towards a More Electric Aircraft (MEA), with the flexibility and economy that this offers in service. Is it therefore possibly the case that the A380 missed its window and came too late or was designed to satisfy a market that is small and an air travel model that has shifted? The A380 still has its champions; starting with Emirates and its CEO and president, Tim Clark. Emirates is bringing the A380 to a number of so-called secondary and tertiary airports and routes. Clark is fighting the nay-sayers and showing that the A380 works for his company and should be attractive to others. This clearly indicates that the issue is complex and not simply technological but probably financial and commercial too. While Emirates owns the largest fleet of A380s in the world (it has 67 and is committed to acquiring a further 73) it has also cancelled its order for 70 A350s and Clark has been a vocal proponent for a re-engining of the A380, inviting others, including Qatar Airways and Singapore Airlines, to get behind an A380neo (new engine option). The case for an A380neo is heavily disputed, not least because reliance on one customer (Emirates), even for 100 new aircraft, does not make for the strongest business case in light of the investment required. However, it seems that such support may have rekindled Airbus’ spirits to continue with the A380, when it may have been considering the aircraft’s future. Clark sees it as a moneymaking plane and hopes for a further reduction in operational costs of up to 10% with the neo. For him the A380 is a serious and competitive proposition. With the successful entry-into-service of the A350, the commercial achievements of other aircraft such as the A330 and the commitments of customers such as Emirates to the A380, Airbus may well be sitting on a unique product for the future. Some airlines, such as Virgin Atlantic, are still deferring their decision on the A380 but, should they consider a new very large aircraft in the future, to replace its 747 fleet for example, Airbus would be in a unique position of strength. The A380 remains a magnificent technological and environmental achievement, the full commercial value of which is yet unclear but is far from written off. And I, personally, remain excited as ever when I see a low flying A380 – such a gentle, quiet and agile giant. Interesting how technological progress since the A380 introduction is now giving us smaller planes with equivalent fuel burn characteristics. And how, even with the best crystal balls, a company like Airbus can get caught out by the direction the market takes.